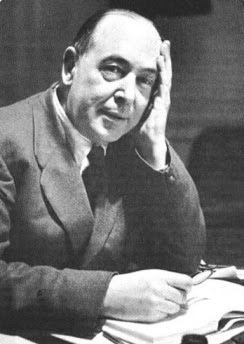 Welcome to the C. S. Lewis week!! Yay!! It has begun! The C. S. Lewis week is finally here, and I can't wait to get started! Today, November 22, is actually the day that Jack (as i will call him) passed away... So I thought that it would be nice to do a little tribute to him. C.S. Lewis, or Jack was born in Belfast Ireland, November 29, 1898. His parents were Albert and Florence Lewis, and he had one younger brother, named Warren. Jack over the course of his school years went to many different schools, and was tutored as well. In his later years, Jack held a postition at Oxford University, and married Joy Davidman-Gresham. Jack was close friends with J. R. R. Tolkien, and was a part of the Inklings group. Jack sadly passed away on November 22, 1963 at his home. Jack was a brilliant author and poet, and during this week, we will be celebrating his life, as well as his work.